Rather like a malfunctioning robot cowboy, it appears HBO’s latest venture in spending lots of money might require some serious tinkering. 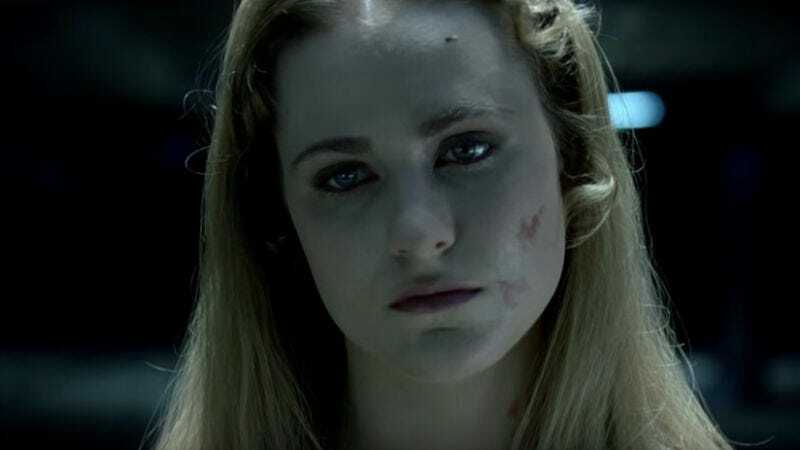 The pay channel’s upcoming adaptation of Michael Crichton’s Westworld has yet to air a single episode, but Deadline reports the production has entered into a two-month shutdown, which means it’s going to be a long eight weeks until the show’s extras are able to once again resume rubbing their testicles against one another. The delay might seem a little odd, but it’s nothing new for HBO productions—the series is simply following in the footsteps of the trailblazing path set by Lewis and Clark, whose own miniseries temporarily halted production last year. Supposedly, the delay is to allow executive producers Jonathan Nolan and Lisa Joy to complete the scripts for the last four episodes of the first season. Currently, the show is scheduled to resume production in mid-February, at which point Anthony Hopkins will poke his head out of the ground and determine whether there will be six more weeks of delays, or the gargantuan 64-member cast of the show can return to pretending they’re fighting robot gunslingers. (It really is a massive undertaking: In addition to the main cast, the show has employed 185 crew members and a vast 4,896 stand-ins and extras in its first season alone.) Also, this probably means it’ll be a little longer before we get a premiere date, although if the debut’s rollout follows the general narrative of the show, everyone watching the first episode will be murdered when their TVs achieve malevolent sentience.